Overlooking the beautiful Kiama Harbour and Pacific Ocean the property provides a unique destination for both conference and leisure guests. Within 90 minutes of the Sydney CBD and an easy drive south of the city the hotel has a range of deluxe accommodation as well as a variety of dining and entertainment options. Within walking distance is the famous Kiama Blowhole and historic Terrace shops. 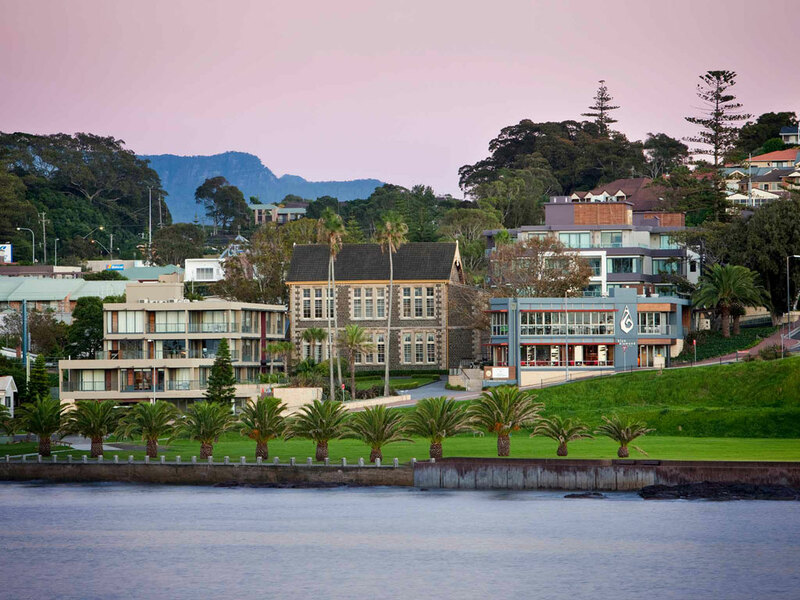 The Sebel Harbourside Kiama is the perfect location for a South Coast escape. The property overlooks beautiful Kiama Harbour and the Pacific Ocean. Ideal for a weekend getaway, this resort is located within a short walking distance to the famous Kiama Blowhole, historic terrace shops and the beach. Yves is a contemporary and chic conversion of a traditional French Bistro. The beverages; glamorous cocktails and extended champagne and Rose list's. It represent's the very best of relaxed South Coast Style.